The man portrayed as the key shadowy broker between the Russian government and the campaign of then-candidate Donald Trump turns out to have been closely tied to people high up in European politics and intelligence circles, while his Russian contacts turned out to be shallow at best. It was Maltese academic Joseph Mifsud who, around April 26, 2016, told volunteer adviser to the Trump campaign George Papadopoulos that “the Russians” had “dirt” on rival presidential candidate Hillary Clinton and “thousands” of her emails. Papadopoulos tried to downplay his talks with Mifsud when interviewed by the FBI, thus perjuring himself, according to his guilty plea. The plea describes Mifsud as having “substantial connections to Russian government officials.” He’s even been called a Russian spy in the media, but a deep dive into his background paints a different picture. After getting degrees in education and philosophy, Mifsud started his career in 1997 at the University of Malta, where he was appointed the head of the Department of Education. He traveled a lot, meeting foreign dignitaries, and eventually made contact with Vincenzo Scotti, former minister of interior and minister of foreign affairs in Italy. 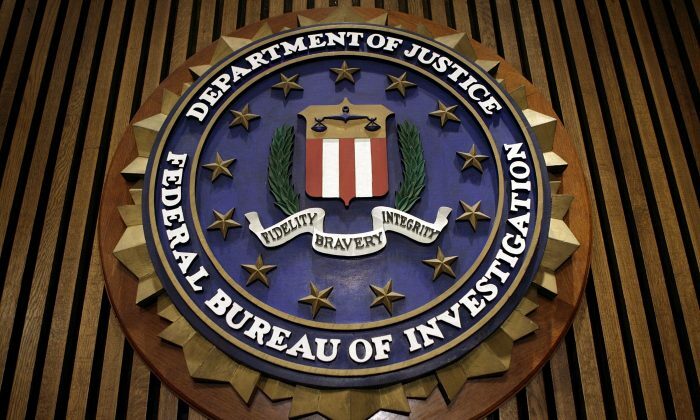 Scotti and his director of Italian domestic intelligence were previously ordered by a court to each pay some $3.8 million—money they defrauded from the official funds of the intelligence agency to fund the agency’s black operations. According to Manuel Delia, a veteran official under two prime ministers of Malta, Mifsud and Scotti helped start Link Campus University in Rome in 1999. Scotti became its director. Link Campus is the key to understanding Mifsud’s future endeavors. 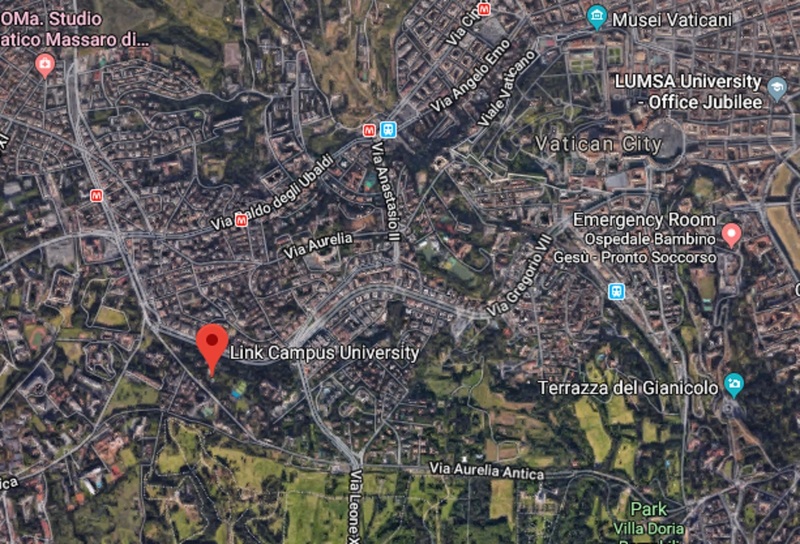 Link’s campus is a renaissance manor less than a mile from Vatican City. It offers degrees in performing arts, fashion design, economics, and digital communication. But it also provides courses in cybersecurity engineering and international studies. Until 2016, Link offered master’s degrees in intelligence and security as well as behavioral analysis and applied sciences in intelligence and homeland security. These two courses later disappeared from Link’s website. The CIA and FBI have sent their officers to lecture at Link. In 2004, the CIA and Link organized a conference in Rome attended by intelligence and police officials of nearly 30 countries, including then-CIA deputy director for intelligence Jami Miscik, The Washington Post reported. Former CIA analyst Stephen Marrin was a guest lecturer at Link. The U.S. Embassy in Rome sent FBI Special Agent Preston Ackerman to give a presentation at Link in September 2016, according to UK political analyst Chris Blackburn, who backed up the claim with a screen shot of a Sept. 9, 2016, Facebook post about a presentation which appears to show Ackerman as its author. The dossier is the cornerstone of the Trump-Russia collusion theory that, after two years of investigation, remains unsubstantiated. Link is also loosely tied to cybersecurity firm CrowdStrike, the sole source of evidence that Russian hackers stole the Democratic National Committee emails that Wikileaks released starting July 22, 2016. Andrew Bagley, former FBI adviser and, since 2015, privacy counsel to CrowdStrike, was a visiting researcher at Link in 2010, according to his 2015 resumé. The University of Malta gradually grew uncomfortable with Link, which was issuing degrees with the university’s logo, but “with little to no quality control or communication” with the university, Delia wrote. Finally, the university kicked out both Link and Mifsud, after he ignored repeated inquiries on why he opened bank accounts in the university’s name that “appear to have been used to receive sponsorships and funds in aid of academic projects for the University and spent without the normal scrutiny of the University,” sources told Delia. It’s not clear what official role Mifsud actually had at Link. He’s been named as a lecturer and photographed as a panel speaker at Link. In a 2013 mini bio, he was called its director of international relations. “Mifsud is a person who collaborates with us,” said a person at Link Campus when The Guardian called the school last year. In 2008, Mifsud was appointed director of the newly formed Euro-Mediterranean University (EMUNI), an institution in Slovenia set up mainly with money from the European Commission, Slovenian government, and the Kuwait Government. EMUNI was supposed to promote academic cooperation in the Euro-Mediterranean region. It’s not clear why was Mifsud picked as its head. His connection, again, appear to be through Link, which ran a master’s and a post-grad course at EMUNI. Mifsud traveled the region, through Egypt, Tunisia, Spain, the United Arab Emirates, Turkey, and also Russia. During his 2011 Moscow trip, he discussed sending a group of young Russian diplomats to study at EMUNI. But in 2012, Mifsud resigned, or was made to resign, from EMUNI. An audit showed that Mifsud incurred over $30,000 of wrongly claimed expenses, Times of Malta reported. EMUNI later distanced itself from Mifsud’s further activities. Sometime in 2012, he became the honorary director of the London Academy of Diplomacy (LAD). In this capacity, he continued to mingle in academic circles, now openly focusing on up-and-coming diplomats. The LAD boasted it had trained diplomats of dozens of countries, including Iraq, Afghanistan, and Libya. Its “regular contributor” was Gianni Pittella, then-first deputy president of the European Parliament. Mifsud had known Pittella since at least 2011, and the two maintained a close relationship as Pittella became the leader of the Progressive Alliance of Socialists and Democrats, the second-largest power block in the European Parliament. Pittella also gave a talk together with Mifsud at a Link forum on terrorism in 2015. “Joseph [Mifsud] is a dear friend of mine,” Pittella said, according to Italian online paper L’Occidentale. Pittella resigned earlier this year after winning a seat in the Italian Senate. He showed up at the 2016 Democratic National Convention in Philadelphia. Another associate of Mifsud was Claire Smith, career UK diplomat and former member of the UK Joint Intelligence Committee, a supervisory body overseeing all UK intelligence agencies. She served at the UK Security Vetting and Appeals Panel, which handles appeals of people denied security clearance by the UK government. And she also gave a training to high-ranking Italian military officials in Rome in 2012. The training was organized by Link and the LAD. Smith was photographed there standing next to Mifsud. Mifsud’s contacts in Russia seemed lacking, though. When Stephan Roh, a Swiss-German lawyer, wanted to expand his business in Russia, he hired Mifsud in 2015 to introduce him to some high-level officials. But Mifsud couldn’t deliver. The only thing he managed was to get Roh on a panel discussion in 2016 organized by the Valdai Discussion Club and connect him with Valdai’s program director, Ivan Timofeev, a PR man of sorts in the academic world for the Russian Foreign Affairs Ministry. Valdai is a mingling place for international elites, set up by the Russian government. It’s been criticized as being a propaganda stunt. Many foreign dignitaries have attended—such as former French Prime Minister Dominique de Villepin and former Austrian Chancellor Wolfgang Schüssel—and Russian media are usually able to get some positive comments out of them, thus propping up the Kremlin’s credibility. Mifsud wasn’t any different—since 2014 he attended several events and wrote three articles for Valdai, all with a positive tone towards Russia. Mifsud had his own intent with Roh. He wanted to convince Roh to invest in Link, which, according to Delia’s sources, always struggled financially and needed to be bailed out time and again by the Italian government through some scheme organized by Scotti. 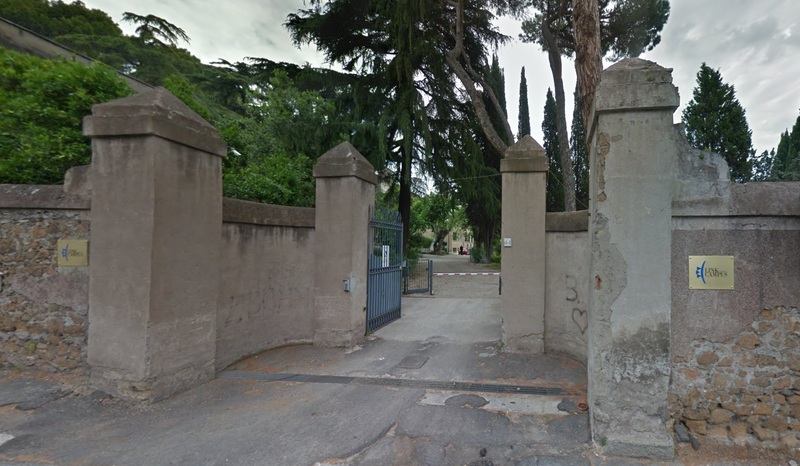 After Mifsud extolled Link to Roh and gave him a tour of its picturesque campus, Roh agreed to buy a 5 percent stake in Link in 2015, Roh and his associate, Thierry Pastor, told Lee Smith. Roh’s account matches Papadopoulos’s plea. Papadopoulos started to dabble in the election in 2015 by joining the campaign of then-candidate Ben Carson. In February 2016, just as he was leaving Carson’s campaign to join Trump’s, Papadopoulos landed a job that would significantly boost his resumé—director of the Centre For International Energy and Natural Resources, Law and Security at the London Centre of International Law Practice (LCILP). It’s not clear how he got the job. Mifsud was listed as the center’s board adviser and, since July 2016, its director of international strategic development. Mifsud met Papadopoulos in Rome around March 14, 2016, and took interest in his joining the Trump team, according to Papadopoulos’s plea. The two stayed in contact and Mifsud later told La Repubblica that he offered to provide contacts in the Arabian Gulf, in Latin America, in Russia, and in the European Council. Papadopoulos knew Trump wanted to improve relations with Russia, just as Obama and Clinton did before him, and he wanted to boost his profile with the campaign by setting up a meeting with some high-level Russian officials. But again, Mifsud failed. First, he introduced Papadopoulos to Olga Polonskaya, who was a Russian student at Link, according to Russian journalist Alexander Kalinin, who dug into her background. Papadopoulos met with her and Mifsud in London on March 24, 2016, and was given the impression that she was a relative of Russian President Vladimir Putin. But there’s no indication she was related to Putin. She used to work for a liquor wholesaler in St. Petersburg, Kalinin found. Mifsud then introduced Papadopoulos to Timofeev, who was willing to organize a meeting through official channels—the North America Desk at the Russian Foreign Ministry. Papadopoulos bombarded the campaign with emails, but in the end, the higher-ups told him that he should go talk to the Russians himself. The meeting never took place. “In November and December, it broke him down. He was under so much pressure and cut off from the world. He had no internet or access to communications,” Roh said. It was Scotti, the head at Link, who told Mifsud to lay low, Roh and Pastor said. Was it then “the Russians” who instructed Mifsud to bait Papadopoulos with stories about Clinton’s dirt? He said no. Actually, even after he said the FBI interviewed him, he denied mentioning Clinton dirt at all. If he lied to the FBI, he could face perjury charges just as Papadopoulos. But so far, the FBI has shown little interest in him. When Roh was interviewed by the bureau’s agents, he said, they didn’t even ask about Mifsud. Update: The article has been updated with additional information about Link Campus, Euro-Mediterranean University, and Joseph Mifsud.